When booking your trip online, is it better to make your reservation on a hotel’s own website, or on an online booking service that deals with many hotels and destinations? While we would never tell you NOT to book on your chosen hotel’s website (we avidly support small-busines), why not consider what you’re signing up for before you make your choice. When you book online, you will likely be making a payment in advance, or committing to a payment. If you are using an individual hotel’s website, your are committing to making payment to the hotel. the terms and conditions of payment and cancellation will be displayed before you book. Let’s say you have to cancel prior to arrival for any reason. You are now bound by the cancellation terms you agreed to when you confirmed your reservation. This likely means you owe some cancellation payment to the hotel. Or, if you receive a credit, you will only be able to use the credit if you travel to the given hotel in the given city at a later date. If your plans are permanently altered, you lose this value. Now let’s say you made your reservation on an online booking service that guarantees your reservation at your chosen hotel. While payments conditions are usually be defined between yourself and the hotel, the booking service is experienced in dealing with cancellations. If you have to cancel, you may be offered a credit or value towards another booking in the future. With the online booking service, this credit can be applied to a booking anywhere you decide to travel in the future. You are not tied to a payment at the original hotel, which if you cancelled your plans, you may never visit again. Of course there are other benefits to using the online booking service. They can better deal with language differences, and in the event of disputes with your hotel, will often assist in mediating. So, next time you plan on booking your travel online, consider the benefits of booking with individual hotels yourself, or using a reputable online reservation service like HostelTraveler.com. Traveling to another city or country and are looking for an accommodation? Then the best option for you would be search the Internet to find the best hostels and hotel rooms that are available at reasonable prices. For backpackers, youth hostels are more apt as these cheap hostels are affordable and provide them with all the comfort. If you are searching for the perfect youth hostels or budget hostels that will suit your requirement then log on to www.hosteltraveler.com. It is one of the best websites that helps you know more about the different types of cheap hostels and youth hostels that are available for you. Through hosteltraveler.com, you can make online hostel reservations in any part of the world. All you need to do is select the region you would be traveling to and the website would provide you with the list of all the youth hostels and other cheap hostels that are situated in that region. These hostels are listed on the basis of their price, class and name. You can also sort them on the basis of the ratings given by other backpackers. Thus the website makes it easy for you to book your hostels and enjoy your trip comfortably. Traveling to another country or city, but haven €™t booked your accommodation? No need not worry anymore as HostelTraveler.com can provide you with last minute accommodation at very reasonable prices. The website can provide you with online reservation facility in almost any part of the world. For backpackers, it provides information on various hostels such as youth hostels which are cost-effective. These cheap hostels can save you money and make your stay more fun. The cheap hostels or youth hostels are listed on the basis of their price, class, and on ratings given by the other hostel travelers. It is one of the most popular websites and can provide you with all the important details related to your stay at these hostels. Booking youth hostels or cheap hostels is fairly easy on this website and it also allows you to interact with other backpackers and get more information. All you need to do is select the region you will be traveling to and the website will provide you with a list of various youth hostels and cheap hostels. You can easily get last minute accommodations at the hostels listed with the website so that you may relax and enjoy your trip. All you need to do is to log on to www.hosteltraveler.com. Do you love traveling but are afraid of splurging too much? Then the best way to save money would be to stay in hostels. The cheap hostels and youth hostels provide you with good accommodations at cheap prices and thus help in saving a lot of money. Staying at these cheap hostels or youth hostels can prove to be more adventurous and fun as compared to other accommodations. It is advisable to book your cheap hostels or youth hostels in advance so that you may not have to face problems later. Hosteltraveler.com can provide you with all the information on the best hostels which will help you get good discounts as well. The website can provide you with a list of different accommodations all around the world. It is quite reliable and a number of backpackers rely on it for valuable travels trips. For this you need to choose the country or the region you would be traveling to and the website would guide you with the type of accommodations available there. You can browse through these hostels on the basis of the price, rank and class, etc. You can get to know more about these hostels through the website and save money as well. Advance booking and online reservation can be done through by logging in to www.hosteltraveler.com. If you are a backpacker who enjoys traveling around the world then low cost hostels would be apt for you. Cheap hostels or youth hostels charge less and are therefore more affordable. It is also more fun to stay at hostels as compared to hotels and can be more adventurous too. You can also get high discounts in these cheap hostels and youth hostels if you opt for advance booking. Booking your accommodation in advance can be very useful and save you from a lot of trouble later. To book your room at these hostels, log on to www.hosteltraveler.com. The website can help you to choose youth hostels or cheap hostels as per your requirements and book your accommodation there. Whether you are traveling to one region or to multiple different regions, you can book hostels accordingly through the website. All you need to do is to select the country or region and the website would provide you with a list of cheap hostels and youth hostels that provide accommodation at low cost. These hostels are listed on the basis of their prices, class and also on the basis of ratings given by the other travelers. Through this website, you can interact with the other travelers also and know more about these youth hostels and cheap hostels and make your booking accordingly. Traveling around the world and exploring new things is a novel experience in itself. Make this experience more pleasurable by planning your trip in advance and keeping a few things in mind. For backpackers the best accommodation would be hostels like youth hostels as these are cheap hostels that are affordable and more fun. 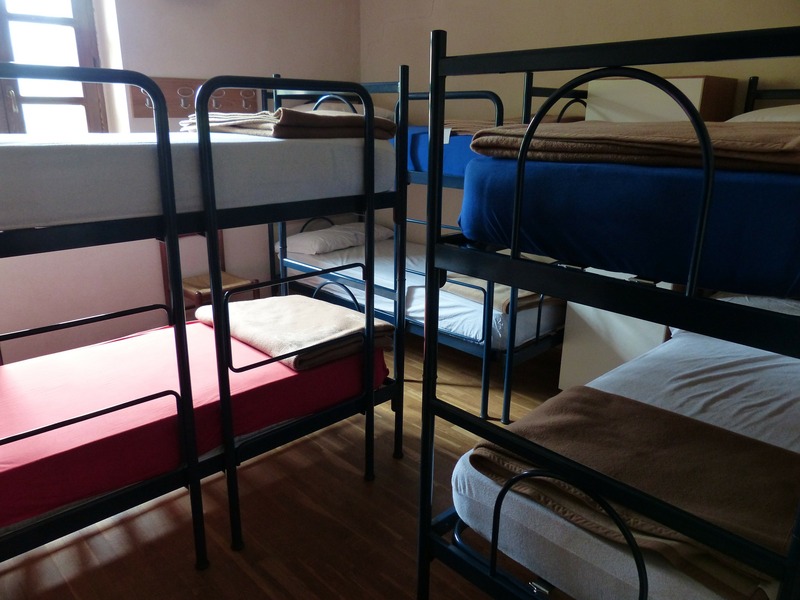 There are certain things that you must keep in mind while traveling in hostels. For one, you should make your reservation in advance so that you do not have to worry about the accommodation later. Before you book your rooms in these youth hostels or cheap hostels, if provided, check their reviews. Try to find out the type of accommodations that are provided by these hostels and then prepare your trip accordingly. Before you commence for you trip, make sure that you have a copy of all your important papers. Travel light and do not carry unnecessary things. Carrying a Swiss knife, pen torch and granola bars can be very useful in your trip. You can opt for online reservations that are provided by www.hosteltraveler.com. The website can provide you with a list of cheap hostels and youth hostels in various regions. You can also get to know more about these hostels through the reviews written by other travelers.